Why do we train? 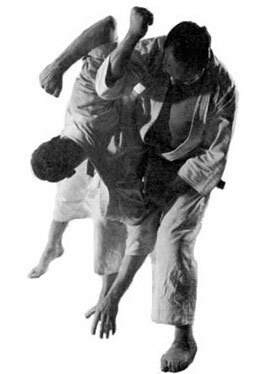 Why do we study the Martial Arts? Why do we do all these forms? Why don’t we just fight? Why? Why? It is the classic question posed in hundreds of films like the Karate Kid. The answer isn’t as crystal clear and the payout isn’t as dramatic in real life. In real life Daniel Larusso (played by Ralph Macchio) would have probably lost. That doesn’t mean he wouldn’t learn the same lessons, but it wouldn’t be a box office success! This is something however you can’t read about, you have to experience it, even then very few look past the failure to learn anything. If you are one that does than I commend you, you are on your way to Mastery of, well anything. Where am I going with all this? Why do we say study instead of train with respect to the Martial Arts? Because we train to learn basic skills and physical movements. We study so we can learn to extend, to go beyond what training alone can teach. Kind of like the difference between Po and Tai Lung (in Kung Fu Panda), Po studied where Tai Lung trained. Tai Lung was limited by his physical self. Whereas Po went beyond his physical self, allowing him to push beyond his physical limits and succeed. I know that is kind of deep and to some it will sound like rubbish, take from it what you will. The point is, the martial arts teaches us to look within; evaluate our motives, behavior, beliefs, mindset, in total, our self. Unfortunately for some this becomes a religious experience, it is not, nor should it be. The martial arts can exist harmoniously with religion but using it to replace religion is to train without studying. Ultimately the martial arts teaches us control of the Self. This is similar to Self-Control but not the same. When you are angry you demonstrate self-control by not hitting or screaming at the person who angered you. When you are in control of the Self, you see the anger but are not affected by the anger, you are calm, cool and collected. Think about a situation, which is more frightening, an opponent who is red in the face with anger or one who is calm, cool and collected? That is what I thought. What is it about the calm, cool, collected that you find so unnerving? When you attain it you will understand that there is nothing and everything to be feared. Bruce Lee was known for his control of Self. The Martial Way is not easy. First come training, which leads to Self-Control, more training opens the mind to Study, which if pursued, leads to control of Self. Sounds easy enough, just five “simple” steps!! But the way is hard; the way we live our lives; the society we live in makes it even harder. There is to much noise in most of our lives, even if we don’t engage it, the noise is all around us (in Western Societies). The Martial Way is quiet, reflective and simple. Quiet the opposite of the way the world around us suggests we should live our lives! Self-control is the first major hurtle and honestly our society and values of instant gratification and worldly pursuits make it a difficult hurtle to master. Do you have what it takes? Will power and focus? First comes Training, so Study to Train!